TrackPlug is an all-in-one channel strip featuring a 10-band EQ, brickwall filters, spectrum analyzer, dual multi-mode compressors, gate/expander, extensive sidechain options, and a peak limiter. 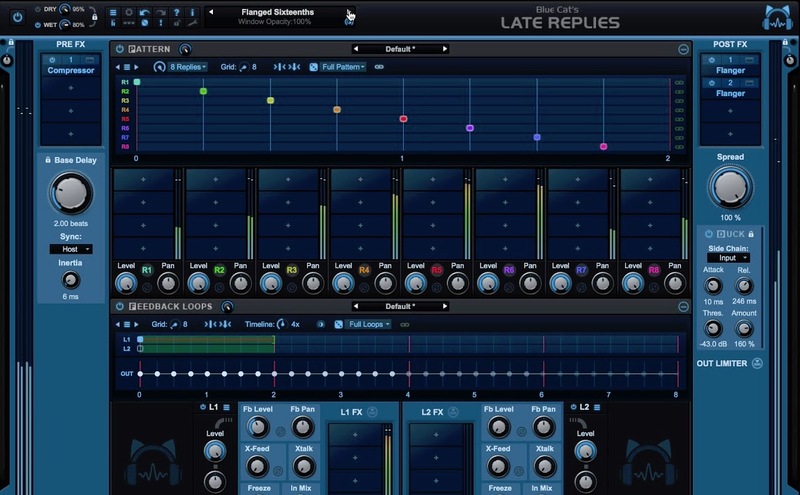 With impressive CPU efficiency, the applications for TrackPlug are virtually endless: shape the tone of an instrument, bring dynamics under control, clean up noise problems and add some punch or vintage warmth to a track and much more. TrackPlug is ideal for tracking, mixing and post production. TrackPlug's interface is extremely intuitive. At the top is the frequency response display, which shows the frequency response of the current EQ. The frequency response display contains several control handles, drawn as colored handles, which correspond to EQ bands; clicking a handle will select that EQ band for editing. Just below the frequency response display are tabs for selecting which EQ is to be displayed and edited. 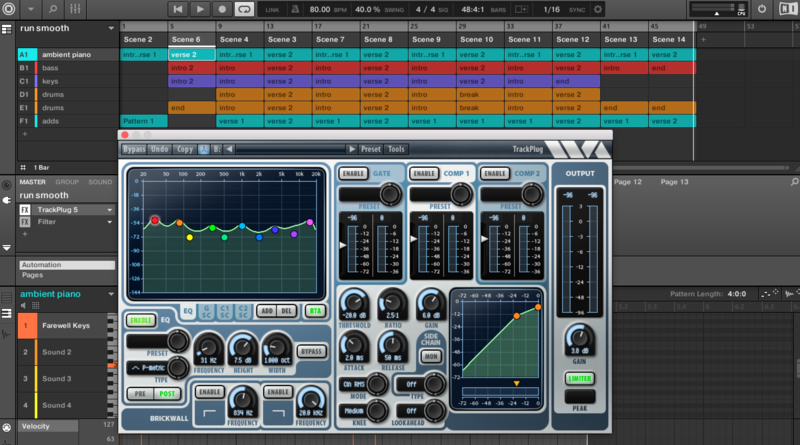 The tabs included are EQ, Gate sidechain, Comp1 sidechain and Comp2 sidechain. The 'enable' button enables/disables the entire EQ section. 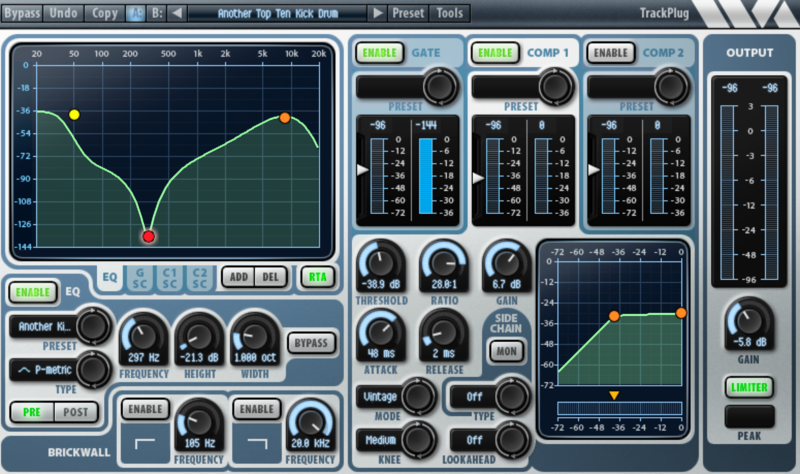 Toggling the bypass button is useful to hear the effect of a single EQ band. Any number of EQ bands can be bypassed. The 'pre' and 'post' buttons control whether the EQ operates before the compressors or after the compressors. The real-time spectrum analyzer runs either before or after the EQ section depending on whether the RTA is set up to be pre-or post EQ. The two compressors are the next in the signal flow. They can be configured in a variety of ways, from slow auto-gain control to fast compression, to aggressive distorting compression. 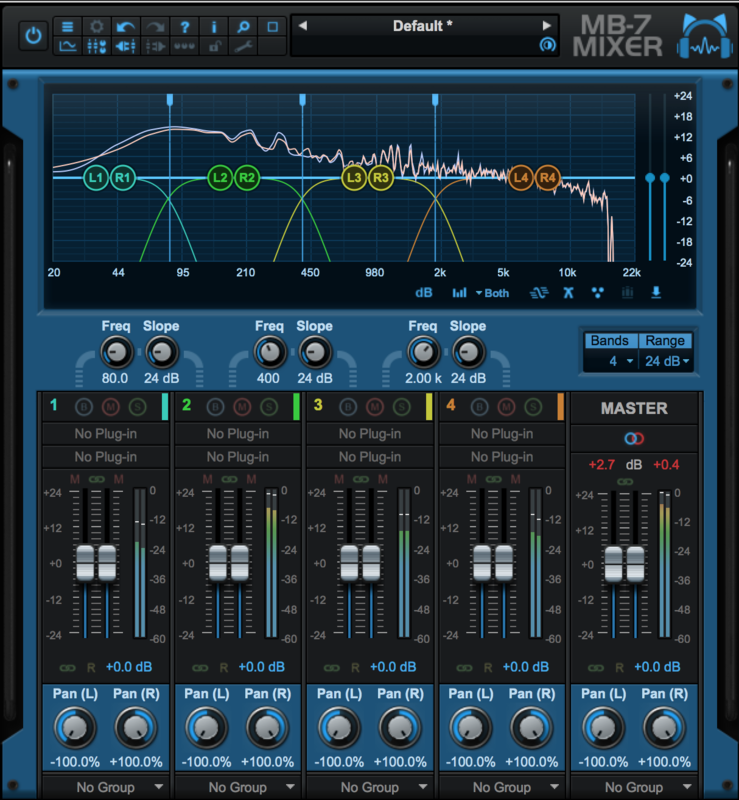 The compressors can also be configured as de-essers or de-ploders by using the side-chain EQs. The output gain and peak limiter run last. A large component of TrackPlug is the 'Brickwall filters.' The 'Brickwall filters' are lowpass or highpass filters with very steep cutoffs, used to pass all frequencies up to the cutoff frequency and eliminate all frequencies beyond the cutoff. They are used to eliminate unwanted frequency ranges. The brickwall filters can also be used to zero in on a particular frequency range just for analysis purposes. For example, one could use the brickwall filters to listen to selected overtones in an organ, or to isolate the click of a drum sound. TrackPlug's equalizer is powerful. It provides up to 10 separate EQ bands, more than needed for most jobs. Each band has a choice of 11 different filter types per band. 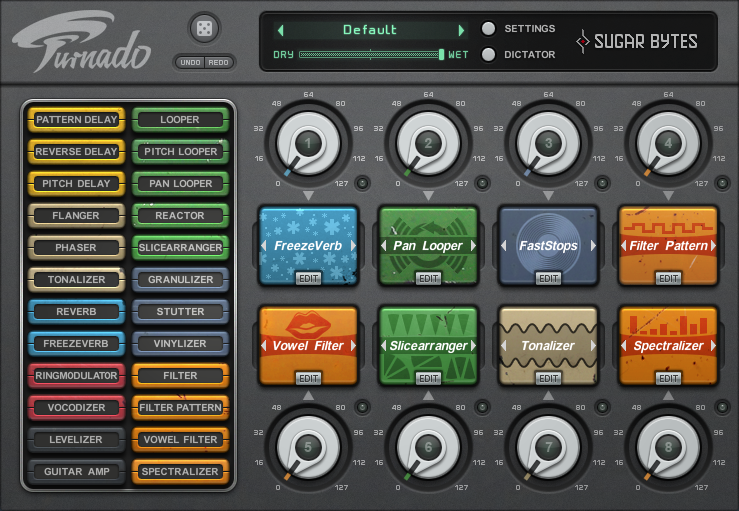 TrackPlug's EQ is focused on providing more control to the user. 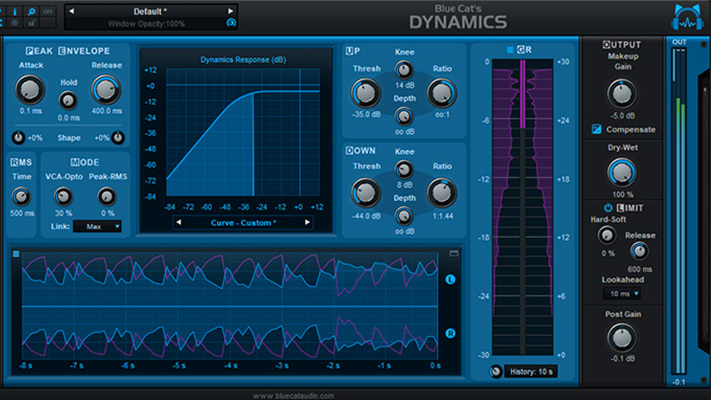 The parametric EQ allows the user to reinforce or attenuate at a specific frequency point. The parametric EQ is defined in terms of the center frequency, the height of the boost/cut in dB, and the width. The filter types that TrackPlug offers are: shelf filter, notch filter, bandpass filter, lowpass and highpass filters. The shelf filter boost or cuts by a fixed amount above or below a corner frequency. The shelf filter has parameters of corner frequency and shelf height in dB. The notch filter cuts a specific frequency. The notch can be used to eliminate hums caused by various sources such as static noise from cables. TrackPlug's notch filter eliminates the center frequency completely. The bandpass filter is the opposite of the notch; it passes only the frequencies in a band around the center frequency. The bandpass filter can also be used in analysis to isolate a particular frequency. TrackPlug has a built-in real time spectrum analyzer which allows you to see how the waves in the audio signal is distributed across frequencies. The real-time analyzer displays the instantaneous waves in each of 31 frequency bands ranging from 20 Hz to 20 kHz. The RTA can be inserted either before or after the EQ processing. 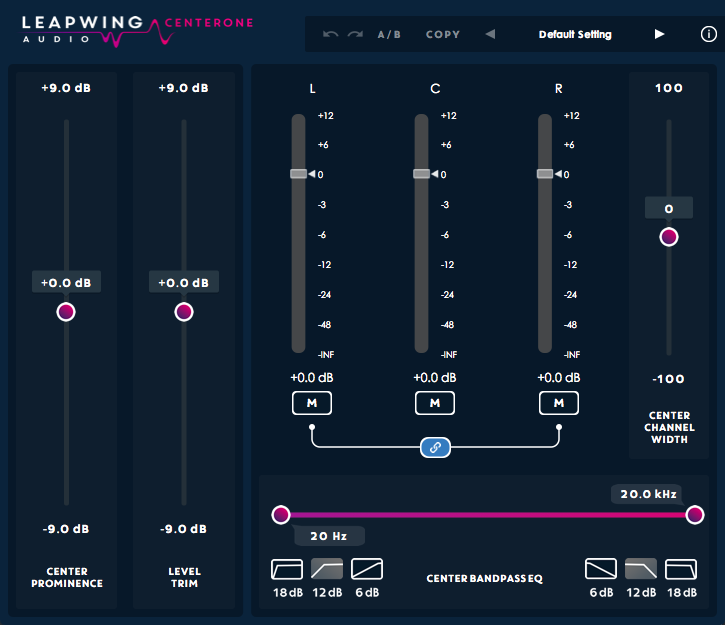 TrackPlug has three dynamics processors: a gate and two compressors. Each compressor has 5 modes: clean peak, clean RMS (Root-Mean-Square), vintage peak, vintage RMS, and vintage warm, while the gate is limited to using one of the two clean modes. All dynamics processors track the level of the input signal using a peak or RMS level detector. 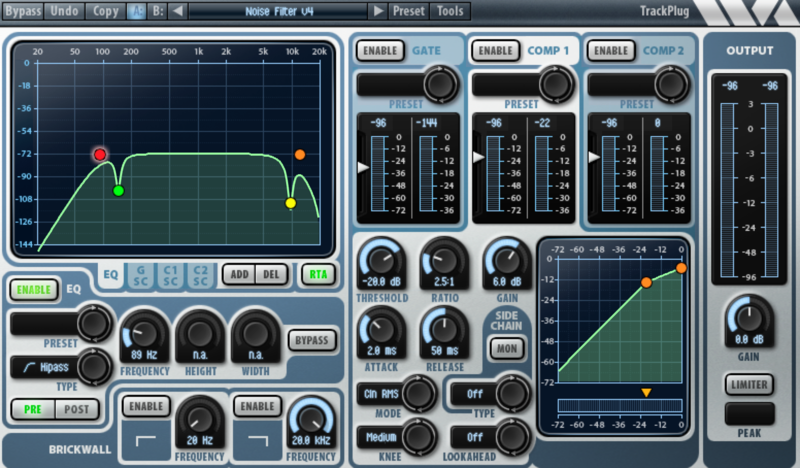 By inserting an EQ in the sidechain, one can build a compressor that responds to particular frequencies. TrackPlug provides four internal sidechain EQ modes: Off, internal EQ, internal EQ compare and internal EQ invert. TrackPlug also supports external sidechain input. 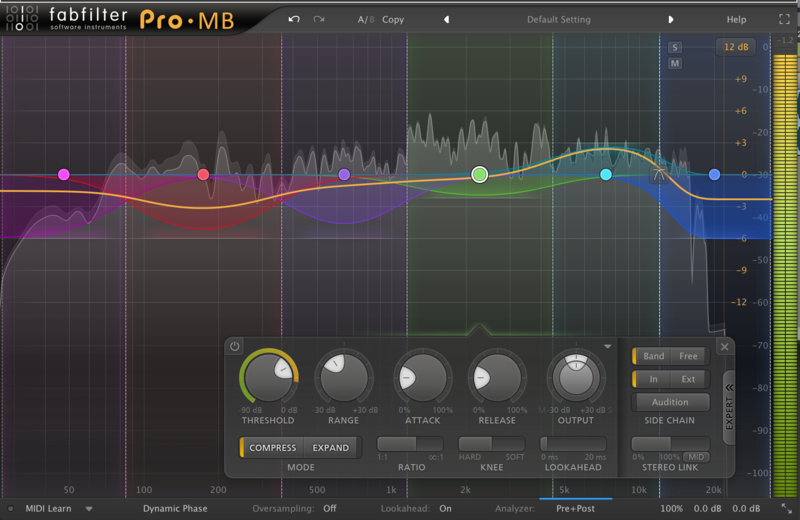 A 10-band EQ section with 11 different filter types. Low and high pass brickwall filters. Two compressors and a gate, each with optional side-chain equalizer, variable knees and optional look ahead delay. Choose between clean or vintage, peak or RMS dynamics modes. 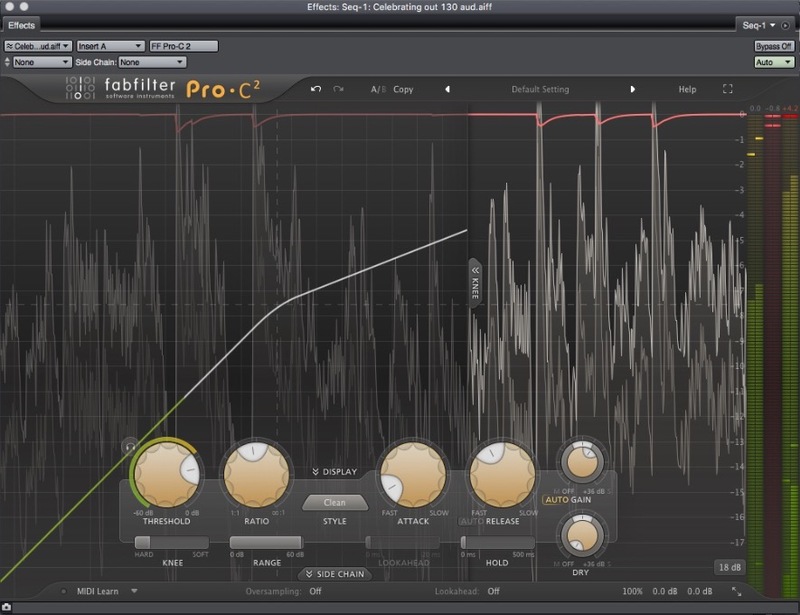 Dual EQ comparison sidechain modes for precise de-essing, de-ploding. Separate presets for each section. Comprehensive set of factory presets designed by industry professionals. Supports up to 192 kHz sampling rate. 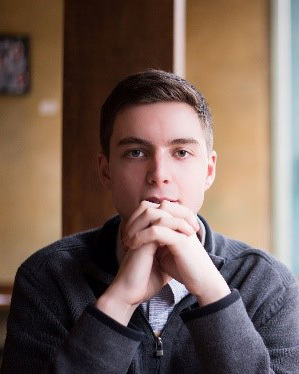 TrackPlug has the potential to take your tracks to a new quality of sound. I found the layout to be intuitive as it followed the signal flow. I could hop right in a start making sense of the plug-in right away, which is good because I was not super impressed with the preset library. I found that some of the titles did not do what the title eluded to; however, this is not much of an issue as users can create their own presets within the plug-in very easily. One this that impresses me about TrackPlug is its versatility. 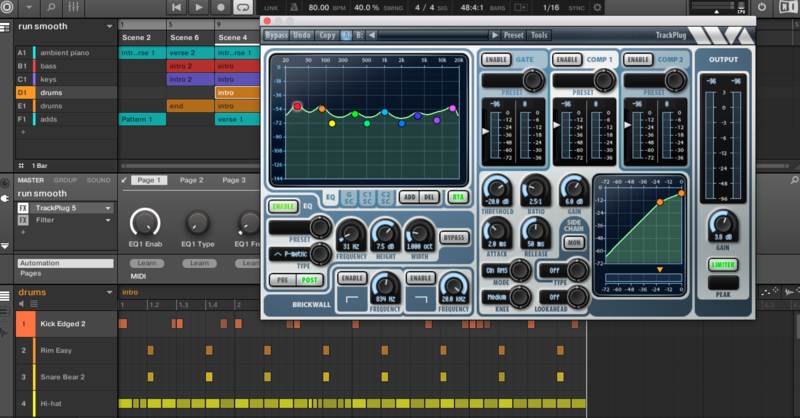 TrackPlug is surely more than just an EQ. Being able to jump in and control functions such as compressors, filters and sidechaining on-top of having a 10-band EQ was useful to me. TrackPlug blew me away when using it on my bass guitar. It took my bass guitar recording to a new level. With the peak limiter, I can avoid digital clipping. Accompanied by the ability to remove hums, hisses and thumps I can capture a truly deep quality bass tone. This all applies to what it can do for vocals. I see myself using TrackPlug regularly for bass and vocals. My favorite thing about TrackPlug is the low CPU overhead. I can open several instances of TrackPlug with no issue in my DAW; no crackling, hums, feedback, etc. I find myself using TrackPlug on specific tracks rather than mastering purposes. When I was using it on my master track I found it lost sound quality and created a muddiness I did not want. Overall, TrackPlug is a solid plug-in. Stable, intuitive and versatile; I will continue to use TrackPlug throughout my productions.